What's next for Benedict Cumberbatch? If you enjoyed Masterpiece Mystery's The Bletchley Circle and also happen to be a fan of Benedict Cumberbatch (and who isn't! ), you're in for a treat this fall. 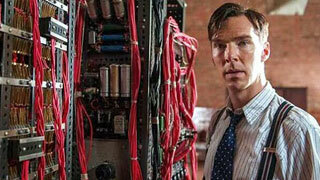 Cumberbatch's next film, The Imitation Game, stars the actor as computer pioneer Alan Turing, whose name is synonymous with Bletchley Park. It was at Bletchley that Turing cracked the top-secret German code and helped end World War II. Sadly, Turing was never publically credited during his lifetime with the work he did at Bletchley, instead he was criminally prosecuted for his homosexuality and he died from cyanide poisoning at the age of 42 in 1954. The Imitation Game will premier at the Toronto Film Festival in September and should be available locally sometime in November. Now that Cumberbatch has wrapped up filming The Imitation Game, you'd think he'd be free to start work on a fourth series of Sherlock, but unfortunately no. Cumberbatch has six other films he's working on! Yes, six! So filming of Sherlock won't begin until 2015. Even then it'll be done in two parts. First they'll film a one-off Sherlock "special" in January and then later next year they'll film three episodes. So it looks like it'll be 2016 before we get to see the fourth series, but I'm sure it'll be worth the wait. Actor Martin Freeman, who plays Dr. Watson in the series, thinks so too. According to an interview Freeman gave not too long ago, when he heard the idea for the one-off special he thought it was "fantastic" and "really mouth-watering". 187 North Gower Street, which doubles as 221B. 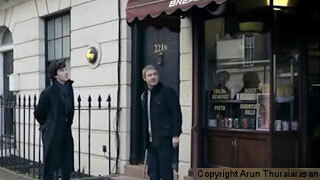 It's good to know that 221B is going to be occupied once again. If by the way you're planning on being in London and want to see where some of the filming of Sherlock takes place, then swing by North Gower Street in Bloomsbury; specifically 187 North Gower Street, which doubles as 221B. Prior to the second series, the front door of flat 187 used to be removed and replaced with the door to 221B, but after the second series wrapped up, the door used for filming - with its distinctive doorknocker and letterbox, became a permanent fixture. 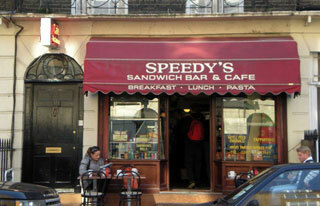 Right next door is Speedy's Cafe; a frequent haunt of Sherlock and Dr. Watson. Wonder if they serve Afternoon Tea? !